Real estate opportunities are vast in the state of Alaska. Correctly buying or selling a property is difficult. John Collinge of RE/MAX Dynamic Properties is here to help. He will take you through the process in a organized methodical way. He will negotiate the very best deal for you whether you are purchasing a new home or selling an old one. 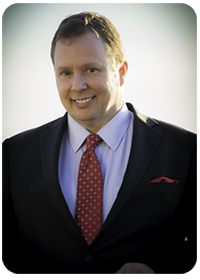 As a licensed agent of Alaska, John has a true love of the area and takes pride in providing you the best service. John will walk you through Anchorage real estate, from buying or selling residential real estate, commercial properties, and investment opportunities. Whatever your real estate needs, he’s here to help because creating clients for life is his mission. Licensed in 2010, John quickly took the market by storm. He achieved Top Producer status in 2015 and never lost it. Providing excellent customer service is his top priority and answering every question you may have is important. With additional certifications and designations, John’s resources to serve his clients throughout Alaska include the Anchorage Board of Realtors ® and the National Association of Realtors ®. He is now also a Certified Military Re-locator and a Certified Corporate Re-locator. What is a Buyer’s Agent? A Buyer’s Agent represents the best interests of the buyer in a real estate transaction. There’s no need to be stressed when buying Alaska real estate if you have the right agent. Obtaining your credit report, setting up financing, and pulling market data of homes in the area are only a few items John will assist you with as your agent. He will help you search out the perfect home, obtain home appraisals and help negotiate the best offer on your behalf. John will represent your best interests every step of the way. What is a Seller’s Agent? A Seller’s Agent represents the best interests of the seller in a real estate transaction. Hardworking and caring, John Collinge succeeds because of the care and attention put into each client. Superior negotiating skills and a true love of the State of Alaska aren’t the only reasons to work with John; he will work relentlessly to ensure your interests are covered from beginning to end. He is determined to provide you an exceptional real estate experience while helping you get the best price for your property. From day one you will know your property’s value and what it could potentially sell for. John will give you a plan of action to assist you with the next steps of selling Alaska real estate. When it comes to staging, making minor repairs to help the property attract ready buyers, and negotiating offers, John will be here to help you. John takes the time to guide clients throughout the entire commercial buying, selling, or leasing process. By combining an understanding of your business with his market expertise, John can establish a comprehensive and effective real estate strategy for your situation. From planning and site selection to final negotiations, John is a fundamental part of the entire process, lending critical perspectives and “know-how” to meet your commercial needs. Born and raised in Seattle and growing up in Tacoma gives John an advantage when it comes to helping you with your Alaska real estate needs. John moved to Alaska in 1986, working as a commercial fisherman in Kodiak. His entrepreneurial spirit then took him to ventures in truck driving, working in warehouses, and even owning a car lot. However, the City of Anchorage purchased the car lot from him in 2008, for a road project that could utilize the real estate. Upon selling, he quickly realized that there were growing real estate opportunities in the area that he could help others obtain. To follow his calling, John began working in real estate and never looked back. When he isn’t staying abreast of the Alaska real estate market you are likely to find him spending time with his wife and three children, fly fishing, or spending time on the Kenai River. For more information regarding real estate in Alaska, contact John today. With an office location conveniently at 3350 Midtown Place, AK 99503, John has his finger on the pulse of this wonderful area. Make an appointment to stop by the office or call 907-440-2785. Email is always welcome at john@propertyak.com. Making it a priority to create customers for life is John’s goal. Feel the service for yourself. My goal is to make you a customer for life! Contact me today!